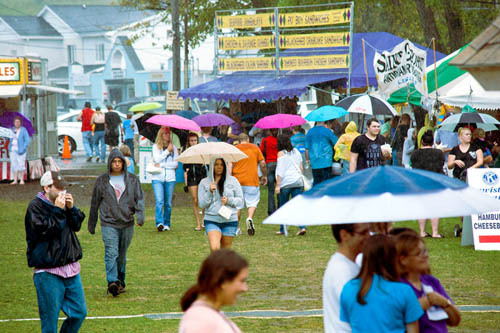 Brief rain showers could not deter the Lewiston Peach Festival crowd from enjoying the ongoing events this past weekend. 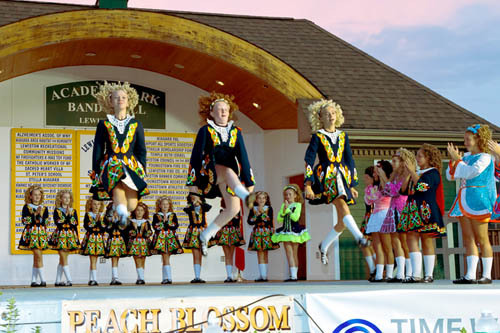 With stage performances by Lew-Port and Wilson cheerleaders as well as the McCarthy School of Irish Dance, there was plenty of entertainment for all. 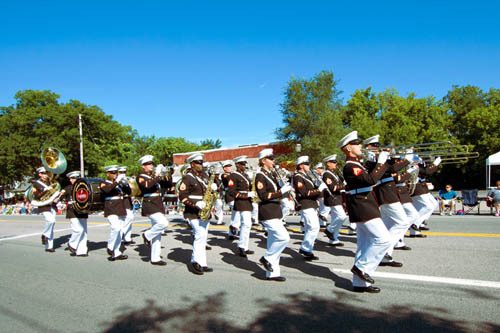 Forty members of the Albany Marine Band from Albany, Ga., marched in the parade along with the Grand Island Ilettes. 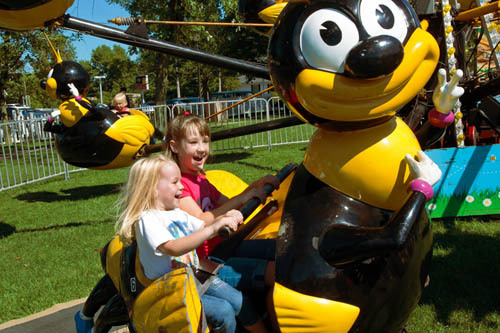 Kaylee Gong, 7, and her 4-year-old sister, Aubrey from Lockport, chose to have some fun on the bumblebee ride. 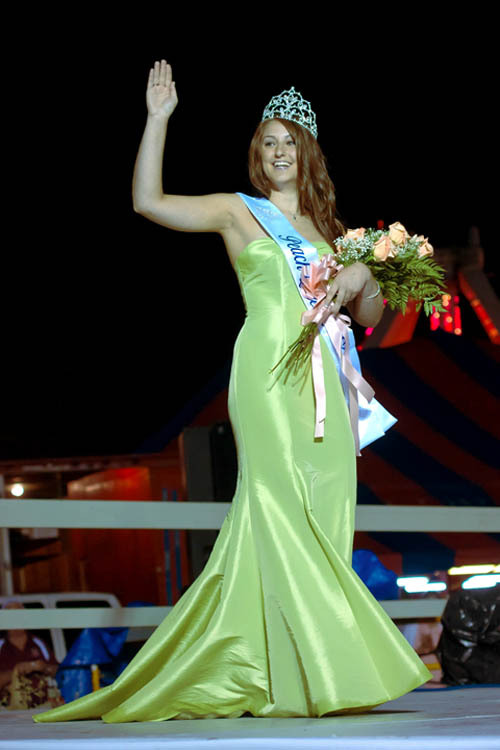 Peach Queen winner, Chelsea Pelsone, was all smiles as she posed alongside her court. 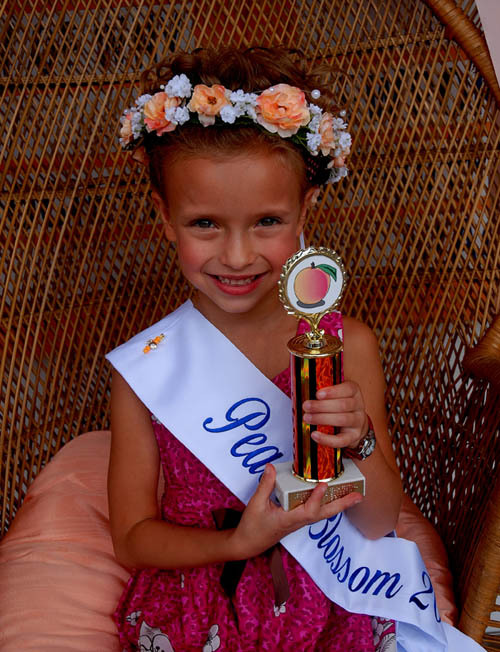 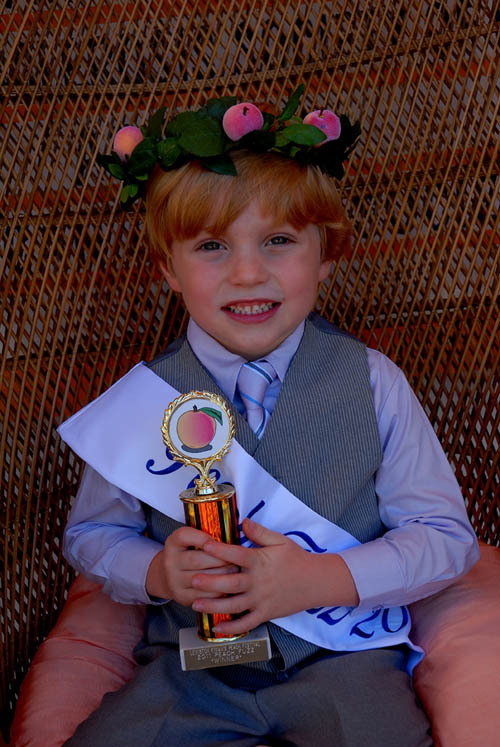 Peach Fuzz, 5-year-old Zackary Kayser of Niagara Falls, and Peach Blossom, 7-year-old Isabel Konopka of Niagara Falls, wave to the crowd as they accept their titles.